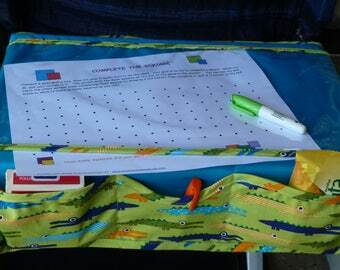 Announcement Airplane Tray Covers Give Passengers Their Own Space While Flying! Cleanliness, Organization and Fun! Airplane Tray Covers Give Passengers Their Own Space While Flying! Cleanliness, Organization and Fun! Super fast shipping and made very well. Worked perfectly for our last flight. The pockets were perfect for hanging the ear phones when they weren’t in use. They also easily held crayons while the tray table was down. We love this product! Welcome to Our Shop! We're glad you're here! Please shop with confidence, knowing that we are fair and reasonable in our policies, and strive to offer you unique products of quality.